Photorealism with playthings - RWHE Having Fun Yet? 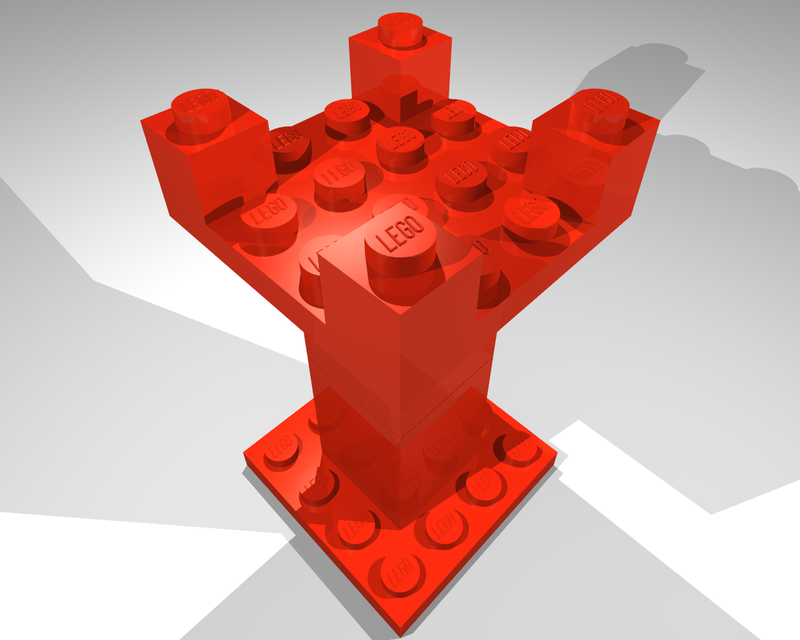 A couple of weeks ago, I posted some 3D renderings of some Lego chess pieces I had made. Since then, I bought the book Virtual LEGO and installed more of the LDraw suite of Lego CAD programs under Wine on my Ubuntu laptop. I've been playing with rendering better versions of the pieces. My latest attempt (go see!) is large and almost photorealistic; you can even see the brand name LEGO on each stud. How studly is that? p.s. As I thought it might be, LEGO and LDraw are proving an easy and interesting avenue into the world of 3D rendering with POV-Ray and such. Next up: getting a foothold in robotics through LEGO Mindstorms.